"You know her. I know birth. Together, we make a great team." A doula does not take the place of dad; rather, she enhances his role and helps him to support his wife with greater ability and within his degree of comfort. Inviting a doula into your birth gives both of you additional confidence and security in knowing that you will have everything you need for labor and delivery, no matter what the journey holds! 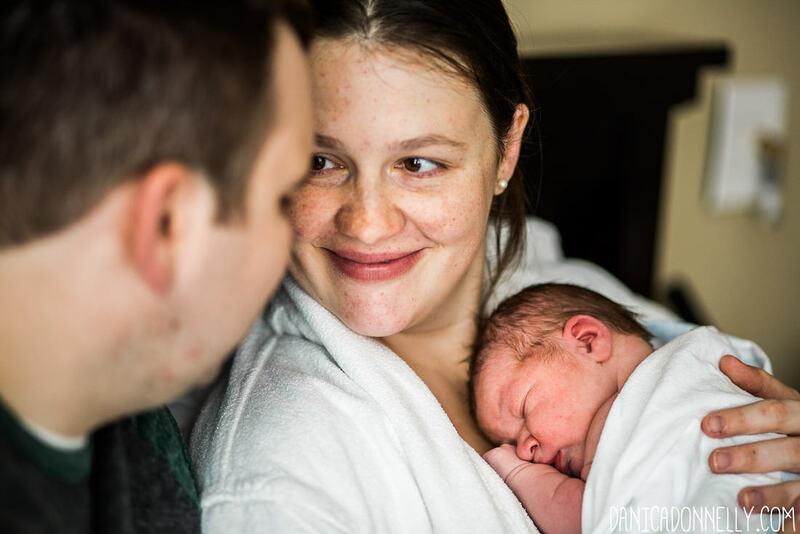 An experienced birth doula takes the pressure off dads to remember everything they learned in childbirth class and allows them to simply be present and supportive to their partner. For more on how doulas and dads work together, check out my blog post here or contact me today with your questions! ﻿"My husband and I are so thankful we found Sarah to be our doula. Although my husband was initially unsure of the necessity of having a doula present for my labor/delivery, he quickly changed his mind after our first prenatal visit. Sarah's knowledge, experience, and personality put us at ease and gave us peace about the entire process. She was able to answer all of my questions and offer helpful suggestions. On our baby's birth day, she arrived quickly and seemed to be prepared for anything with her "bag of tricks" (massage tools, essential oils, heating pads...even some high-energy snacks.) She helped coach me through the increasingly intense contractions and stayed with us all the way until our sweet baby was born and a couple of hours afterwards, making sure we had everything we needed. A week later we met again for a post-partum visit and it was fun getting to talk about everything that had happened; again she helped by providing new-mom resources and answering any questions I had. So glad to have accomplished a successful VBAC with Sarah as our doula. Will definitely be recommending her to my pregnant mom friends!" Contact her today to capture your birth & family memories!